Ash-Lilly's Lacquer Lust: Sally Hansen and The Water Decal Episode. 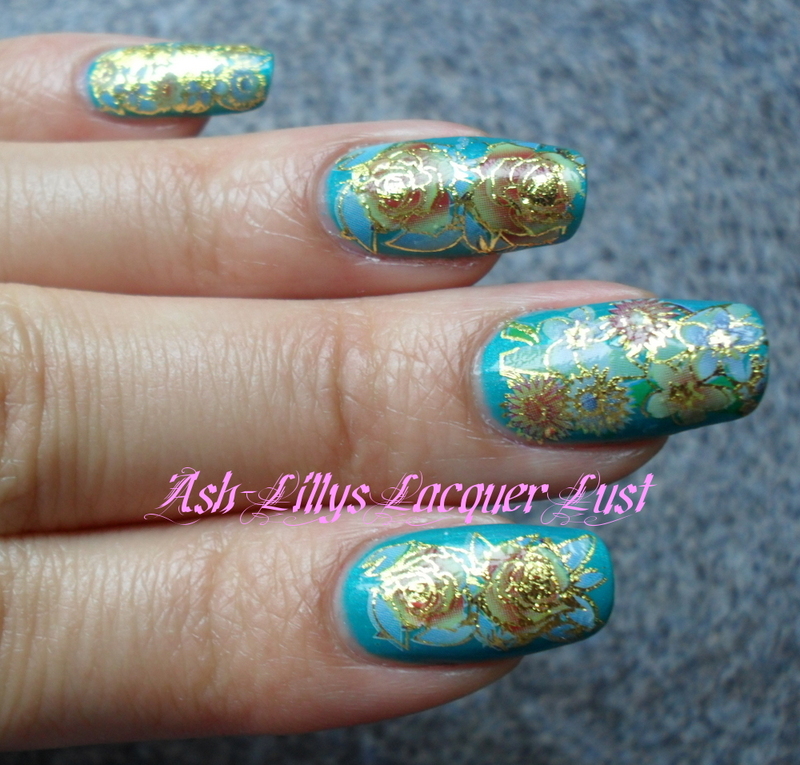 Sally Hansen and The Water Decal Episode. Hi everyone, how are you doing? Christmas day is ever approaching. Have you decided on your Christmas Day manicure yet? I haven't, so I've been having a look at YouTube trying to get a little inspiration. I'm still looking though. Meanwhile, this is what I have been wearing for the last few days. 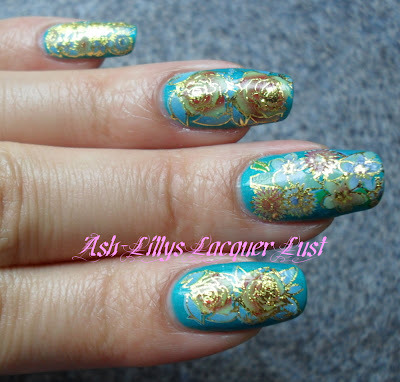 This is two coats of The Real Teal by Sally Hansen accompanied by some water decals. For those who don't know or have never used a water decal, the design is on a thin layer of plastic which becomes detached from its paper backing when soaked in water. I cut out the design I wanted, soaked it for a few seconds in a glass of water and then, with great care, I slid the design off the card and placed it on my nail. I used two coats of a clear top coat to lay the design down on my nail. The design tends to shrink when you put the polish on so you do have to be very careful not to drag the brush along the design. 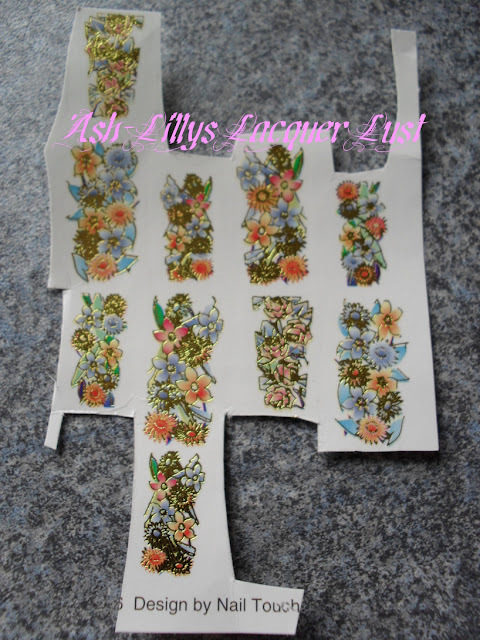 These decals were made by Spangles and I bought them from Sally's in 1996...so I don't know if they still do them, lol! 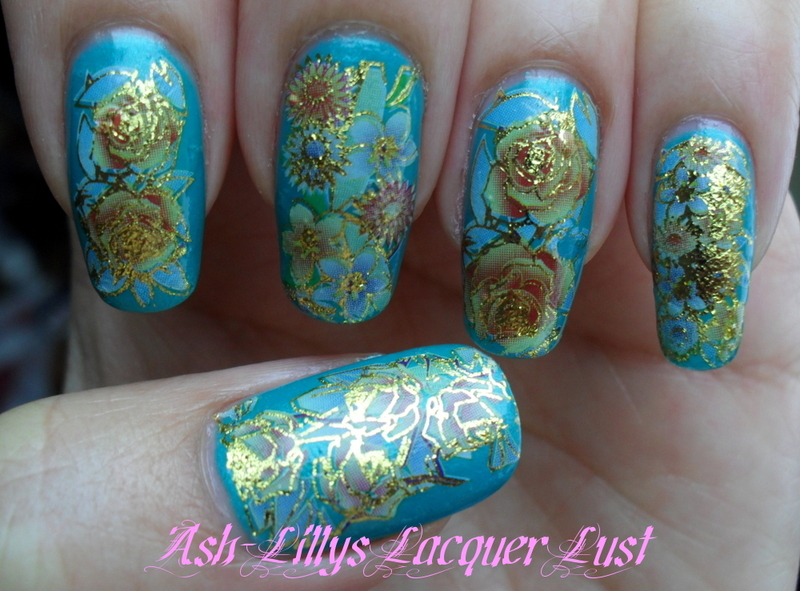 I really like water decals and I do need to get some more at some point. The pattern is a bit 'grrr' and definitely not something I'd wear at work, but as I'm not at work until the new year...I'll wear what I want! The combination of the color and the decals is absolutely gorgeous!